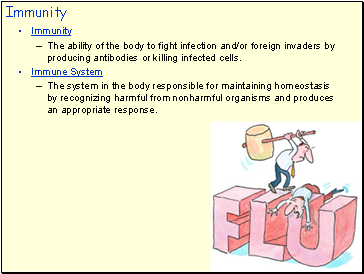 The ability of the body to fight infection and/or foreign invaders by producing antibodies or killing infected cells. The system in the body responsible for maintaining homeostasis by recognizing harmful from nonharmful organisms and produces an appropriate response. 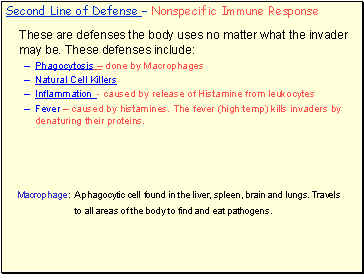 Viruses, bacteria or other living thing that causes disease/immune response. 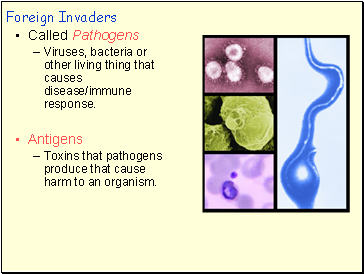 Toxins that pathogens produce that cause harm to an organism. 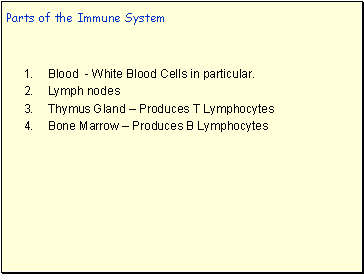 Blood - White Blood Cells in particular. 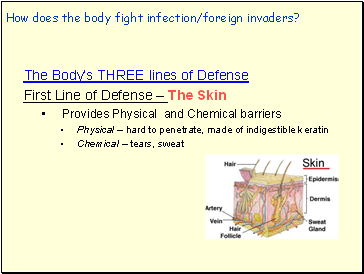 How does the body fight infection/foreign invaders? Fever – caused by histamines. 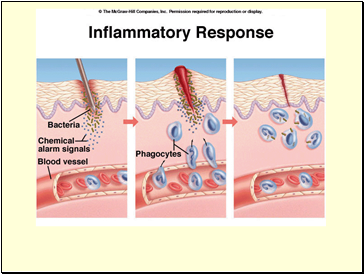 The fever (high temp) kills invaders by denaturing their proteins. to all areas of the body to find and eat pathogens. 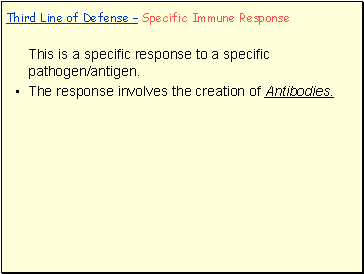 This is a specific response to a specific pathogen/antigen. 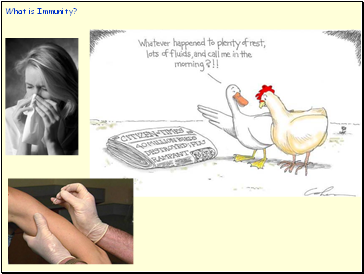 The response involves the creation of Antibodies. 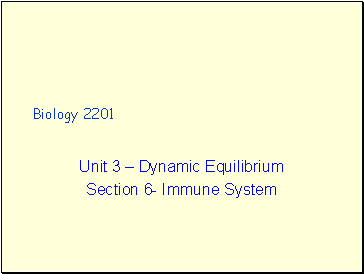 Made up of variable and constant regions. Made up of Heavy and Light chains. 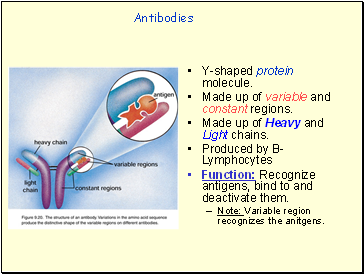 Function: Recognize antigens, bind to and deactivate them.